Ocean was a Canadian pop band consisting of vocalist Janice Martin, guitarist David Tamblyn, keyboardist Greg Brown, bassist Jeff Jones, and drummer Charles Slater. “Put Your Hand In The Hand” was a gospel pop song originally recorded by Anne Murray. 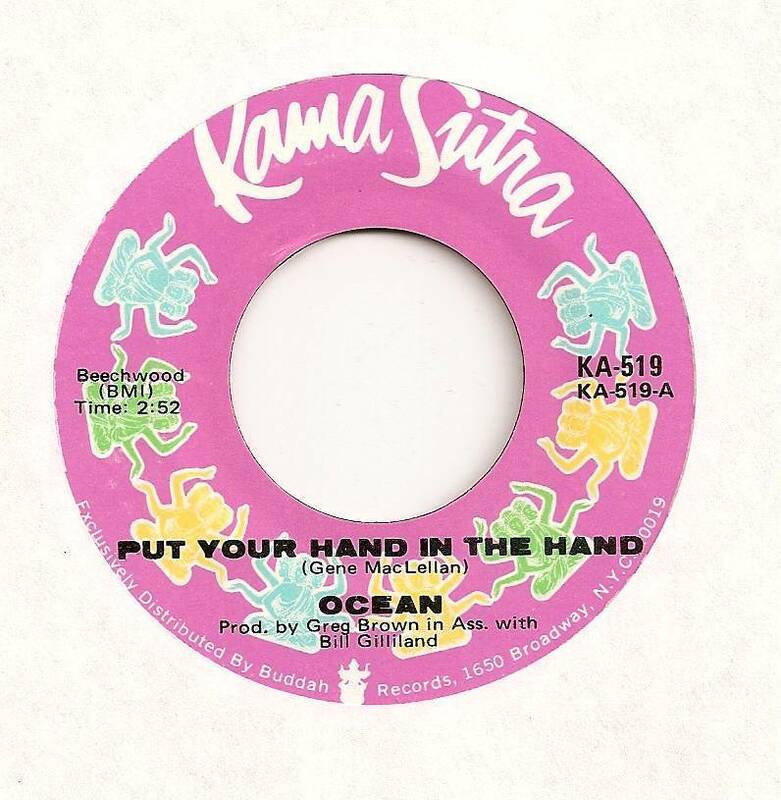 Ocean recorded a peppy version of the song and issued it as a single. Released during early 1971, it almost made it to the top, peaking at number two on the BILLBOARD MAGAZINE Pop Singles Chart. Ocean would place three more singles on the lower regions of the BILLBOARD Pop Chart in the United States. By 1975 the band was a memory leaving behind one million selling single. The Crew Cuts were a Canadian vocal group who were one of the first acts to cover the black hits of the day. They took their name from their hair cuts. “Sh-Boom” was their biggest hit. While it came during 1954, it is a song that has always been associated with the rock ‘n’ roll era. The song was originally released by the doo-wop group The Chords, who reached number nine on the pop and number three on the rhythm & blues chart. The Crew Cuts would add non-sensical lyrics and take it to the top of the charts. Best Sellers In Store Chart – 8/7/54 – 7 weeks at #1. Most Played By Disc Jockeys Chart – 8/7/54 – 9 weeks at #1. Most Played In Jukeboxes Chart – 8/21/54 – 8 weeks at #1. “Sh-Boom” is a rare song from the first half of the 1950s that still receives airplay on oldies stations. The Assembled Multitude was one of those groups that was never a real band. Producer Tom Sellers (died in a house fire, 1988)recorded with studio musicians. 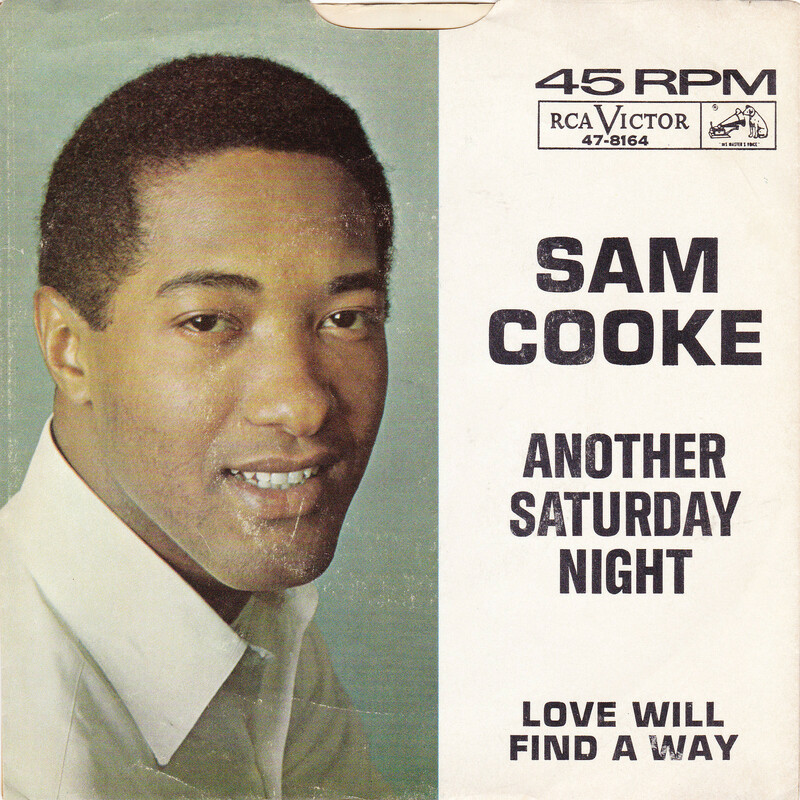 He formed the group during 1970 and many of the participants would go on to play for the artists who recorded for the Philadelphia International Label. It was an instrumental unit who covered many of the popular songs of the era. They actually had a good sound if you were into an up-tempo cross between pop and easy listening. 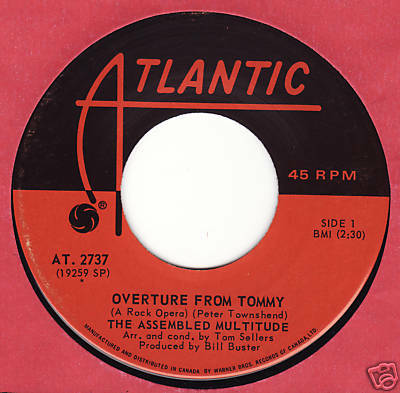 Their biggest hit was a re-working of the Who’s “Overture From Tommy.” Released during the late spring of 1970, it reached number 16 on the BILLBOARD MAGAZINE Pop Singles Chart. It may not have been rock ‘n’ roll but but it resonated with the rock audience of the day. I was never a real fan of John Lennon’s first two solo singles, “Give Peace A Chance” and “Cold Turkey.” The third remains one of my favorite Lennon songs. 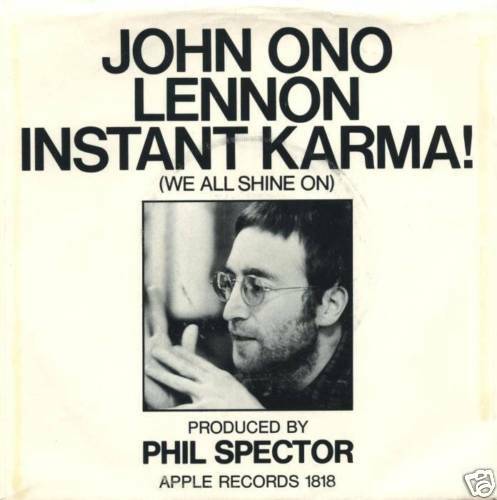 “Instant Karma (We All Shine On)” was released during early 1970 and was his first solo single to crack the top ten. It reached number three on the BILLBOARD MAGAZINE Pop Singles Chart. It was a rocker with George Harrison contributing the guitar work and Billy Preston on keyboards. The music had a raw feel to it and was different from much of what he would produce during his all too short solo career. Cannonball Adderley (1928-1975) was one of America’s premier jazz saxophonist’s during his all too short 20 year career. In addition to leading his own groups, he was a noted sideman for many of the leading jazz artists of the day, including Miles Davis, 1957-59. He also worked outside the jazz medium at times with excursions into rock and roll and rhythm & blues territory. His music now returns as a part of the ongoing Concord Music Group’s The Very Best Of series that resurrects some of the better tracks by many of the leading lights of American Jazz’s classic era. The Very Best Of Cannonball Adderley is an eclectic mix of 10 tracks that spans his career,but eschews his most commercially successful period with Capital Records. As such, it gives a flavor of his music but the jumps from one era to the next only scratch the surface of his sound and style. The first and oldest track from 1958, “A Little Taste,” finds him playing with such stalwarts as pianist Bill Evans and trumpet player Blue Mitchell. His solo was one of the better excursions of his early career and is a fine introduction to his music. “This Here” is an 11 minute live track recorded at The Jazz Workshop in San Francisco, October 20, 1959, with his quintet. He is backed by cornet player Nat Adderley, bassist Sam Jones, pianist Bobby Timmons, and drummer Louis Hayes. His lengthy solos soar over the instrumental foundations as his soulful style looks ahead to his fusions of soul and jazz. “Know What I Mean” found him in a simpler setting as he and pianist Bill Evans are backed by only a bass and drums. The interplay between Evans and Adderley make you wish the song was longer than its five minutes. The jump ahead to 1975, the year of his death at age 46, has synthesizer player George Duke on hand, which gave him a far different musician to play off and against. The electric rhythms present a nice example of just how far his sound had evolved and the direction it was headed. Cannonball Adderley has been gone almost four decades, but his music still sounds vibrant. The power of his playing and the joyful and soulful sounds he could coax from his instrument are always worth a listen. The Very Best Of Cannonball Adderley is a nice slice of his music and will leave you wanting more. Article first published as Music Review: Cannonball Adderley – The Very Best Of Cannonball Adderley on Blogcritics. You are currently browsing the Muskmellon's Blog blog archives for August, 2012.